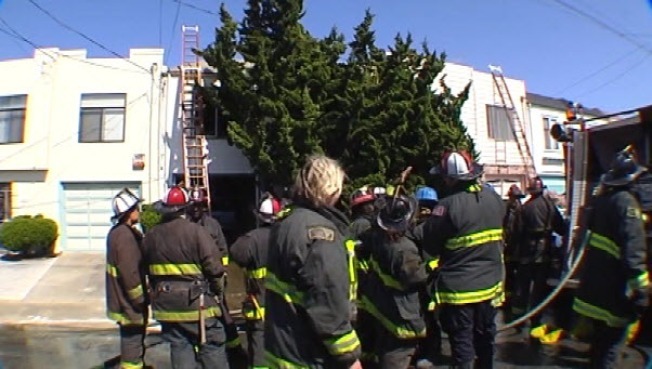 The San Francisco Fire Department wants to find out whether toxic chemicals are affecting the health of its female firefighters. Fire officials say they are troubled by higher than normal cancer rates among female firefighters between the ages of 40 and 50. The department applied for a grant to conduct a study from the Breast Cancer Research Fund. The study would compare blood samples of eighty of its 250 female firefighters to women outside the profession. “What they’ll do is they’ll take a look at their blood chemistry on both our firefighters and the neutral group, compare them and see what the differences are and possibly put the correlation together that they are -- our female firefighters -- are getting some pretty bad exposures,” former San Francisco firefighter Tony Stefani said. The department says it has the highest population of female firefighters in any major U.S. city. It expects to learn this summer whether it is awarded the grant.